Google Search Results! Shall we? If you haven't already setup your business on Google My Business, you have to do that first. For instructions on how to do that, click here. 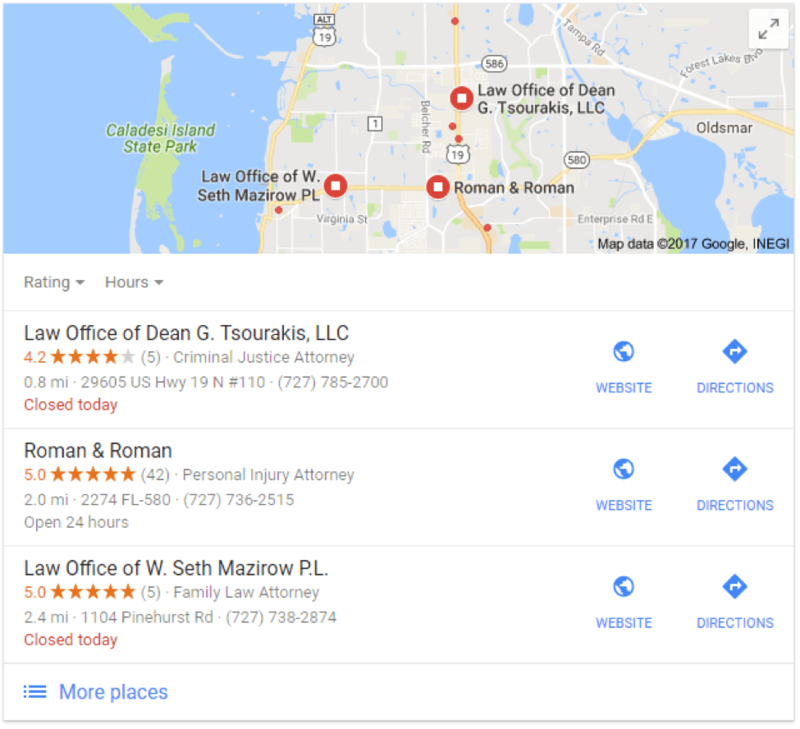 If you are setup on Google My Business, Google knows you are open for business. Now, you’re going to leverage the power of reviews to tell strangers how awesome you are. Referrals and word of mouth are still awesome BUT over 90% of people still go to Google to research before they call those word of mouth referrals! In the online world, that translates into pretty yellow stars and reviews. People want to see that other people know, trust and like you. When was the last time you bought something on Amazon and didn't look at the star ratings or reviews? I always look at the them! People are researched obsessed and will believe a total strangers review over 80% of the time. 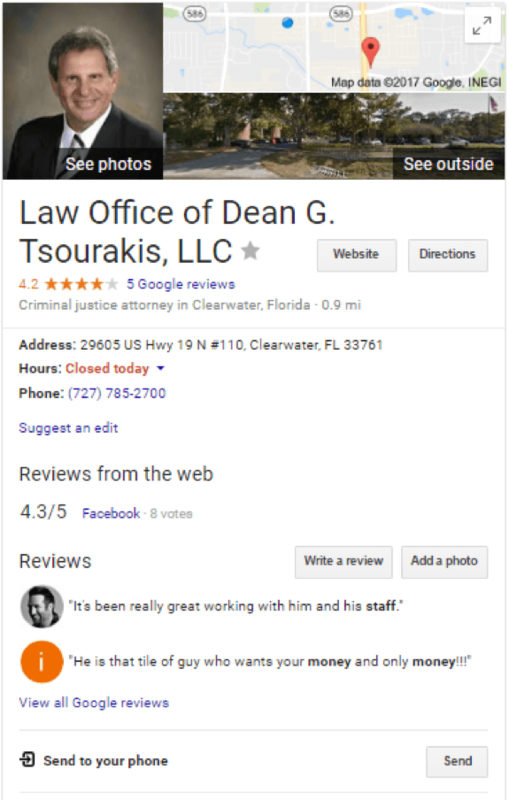 Google reviews are the most used and trusted reviews that people read first when looking for an attorney. Here is the most important part, even if someone refers you, over 65% of those referrals are going to Google you before ever calling you! And because reviews are so powerful, sometimes they show up ​before ​your website in the search results! So, are you ready for today's challenge? 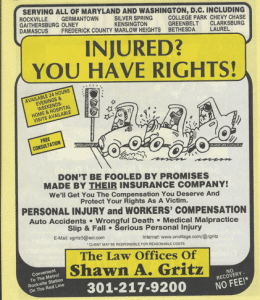 Remember the Yellow Pages? They are still around but are your clients looking for you there anymore? Traditional marketing through billboards, radio, and word of mouth have worked forever but even those methods have changed with Google. In 2016, Internet searches bypassed word of mouth referrals for the first time in history for attorneys. Meaning even if someone gave a word of mouth referral to you, that potential client will Google you first before they call. Or even worse, they may not even ask anyone for a word of mouth referral. Today’s challenge to get your first 5 star review! It goes without saying, you want to ask clients who were extremely pleased with your service.We aren't shooting for 3 or 4 stars, no ma'am! We are shooting for the stars. The 5 stars that is! We are also going to ask them to leave a comment about what they liked best about working with you. Make a list of 10 extremely satisfied customers. 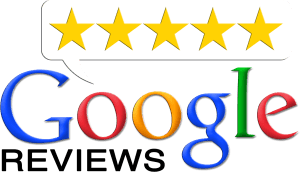 Reach out to each client and ask them to leave you a 5 star review. They are busy too, so make this easy for them. Give your clients suggestions of what to say. We even have a sample that you can copy and paste for your client outreach emails. Give them the link to review your business. I would like to ask you for a quick favor. Would you kindly give me a quick review on Google. It shouldn't only take about a minute. Here is the link to my business on Google: Insert your business Google Profile link here. If you do not feel you can give me a 5 star review, please let me know what I could have done better to serve you. You are asking for feedback from the clients you know you did your best to serve. BUT, keep in mind that not all clients may have the same glowing feedback. If you get less that stellar feedback, then look at this as in opportunity to learn, grow and improve. We do not want to get any bad reviews. So, try to reach out to clients that you are pretty certain had a favorable experience with you. Make asking clients to rate you on Google part of your client process. You can do this after you wrap up working with your clients. Create a reusable email template to thank them for their business, ask them for feedback in a survey, and to rate you on Google. The survey feedback is incredibly important. Not only does will it help you improve as a business woman but the vernacular should be used to consistently update your marketing communications. In marketing analytics, we call this voice of the customer and it is incredibly valuable data to use for better marketing! If you have any questions, contact me directly either by phone, text or email.